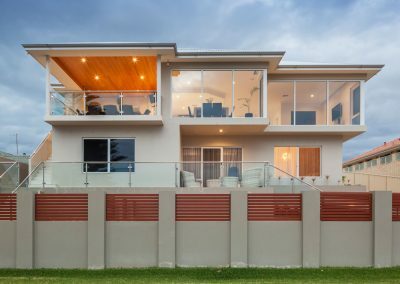 With ocean views taking precedence, this remarkable three-storey residence makes the most of its natural surroundings. 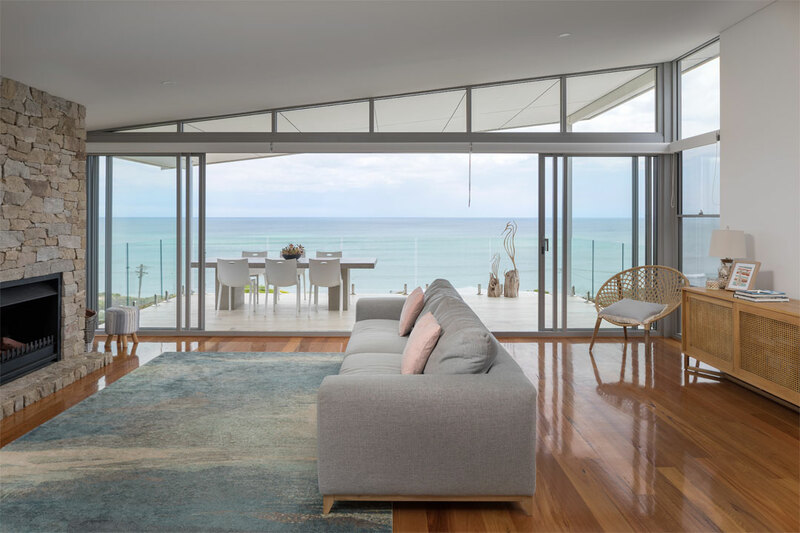 Built by Makin Homes and drafted by Instill Design & Drafting with the clients’ clear vision in mind, this beachside abode features large west-facing windows that invite the outside indoors. The spacious balconies on each upper level feature glass balustrading, for uninterrupted views over the ocean. Hardiplank wall cladding and concrete blocks were used to achieve clean lines. The welcoming and open living, dining and kitchen area is found on the top floor. 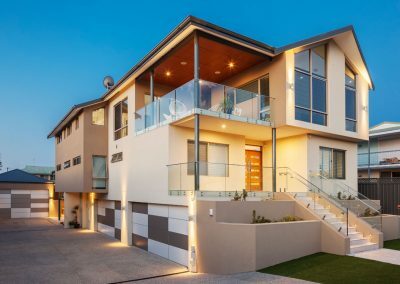 To maximise use of the internal 238.4m2 area, hallways were minimised and an eye-catching New South Wales blackbutt stairway connects each storey. The spacious main bedroom includes a walk-in wardrobe and a fresh, all-white en suite with spectacular ocean scenery. 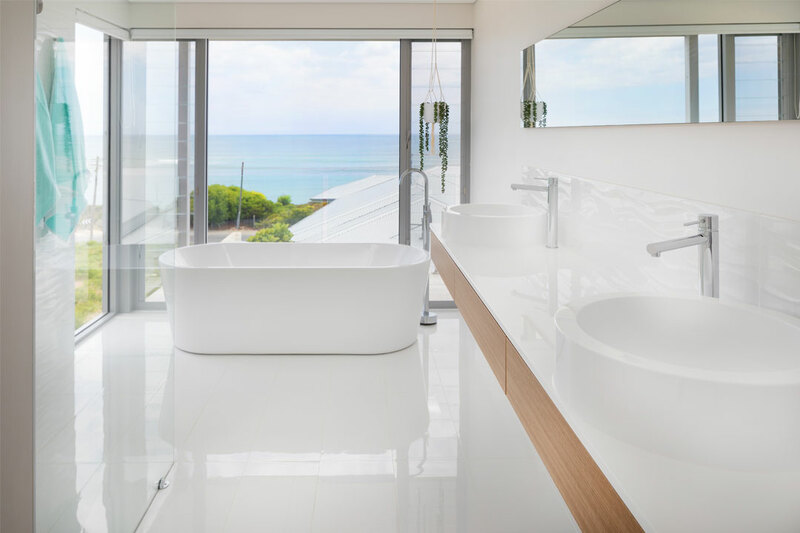 An outdoor shower and surfboard-storage room were included on the ground floor to make the home highly practical for any sea-loving guest. Lee Makin established Makin Homes in 2005 and has specialised in building custom homes ever since. 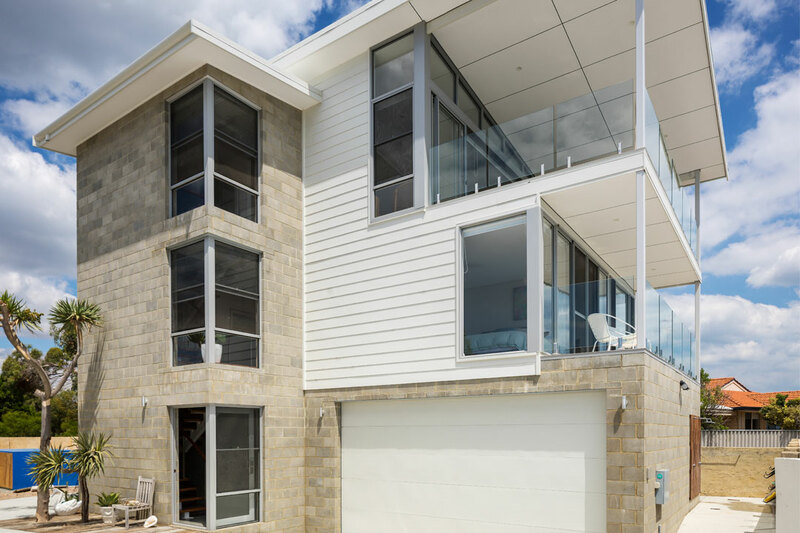 Constructing approximately ten homes annually, the business owner has developed an eye for detail and a passion for delivering high-quality work that is unmatched in the industry. With a friendly and approachable attitude, Makin and his team strive to ensure clients are always comfortable during the building process and thrilled with the finished product. 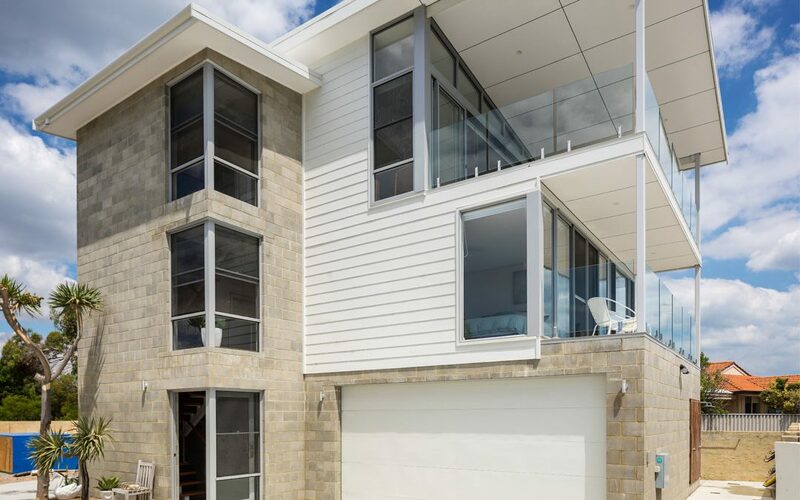 Servicing Perth and surrounds, Makin Homes complete large renovations, granny flats and multi-dwelling developments, and makes dream homes a reality.